In 2003, LeBron James was one of the most hyped players to ever enter the NBA straight out of high school. Ten grueling NBA seasons later, James has exceeded the hype and is on the fast track to Springfield, MA. The two-time NBA champion, in conjunction with Upper Deck Authenticated, is just the second stateside player ever to be honoured with a unique 'Tegata' memorabilia piece. A traditional form of Japanese memorabilia that is reserved for only the most supreme athletes, LeBron is the second of UDA's impressive exclusive athletes. Utilizing handmade Japanese Fuji paper, LeBron has inked his right hand in black and included an authentic Inkan stamp which aligns with the traditional craft. 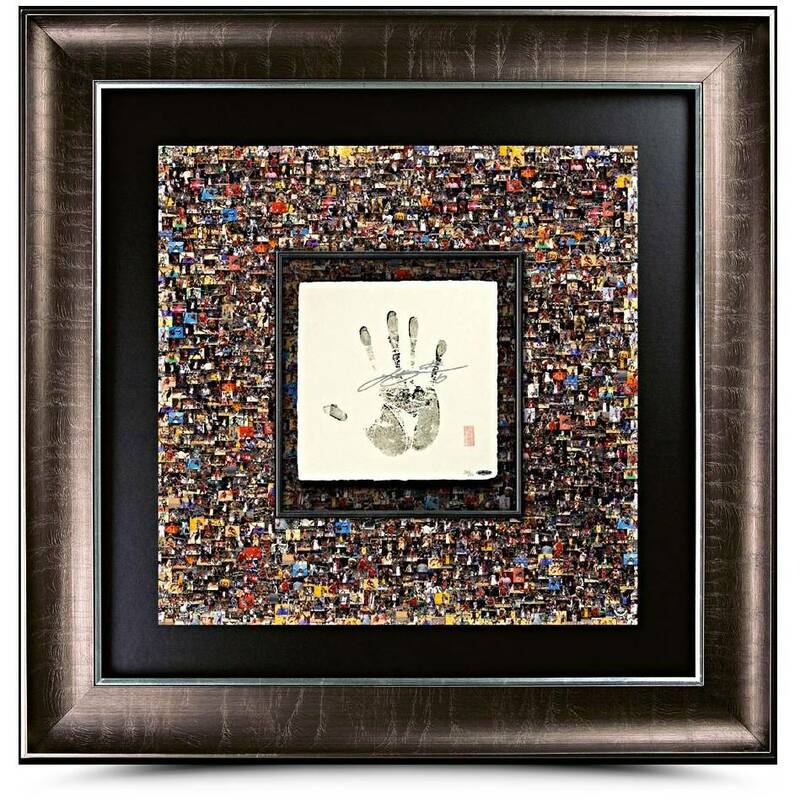 The overall keepsake, which measure 37" wide by 37" high, includes a 12" by 12" inset center upon which LeBron's hand has inked and is surrounded by a 500 image matted mosaic background of action shots from James’ first ten seasons in the NBA. LeBron performed the Tegata process with Upper Deck Authenticated officials and helped in the hand-crafting of 26 uniquely authentic stamps for the special release. His autograph and handprint are guaranteed authentic by virtue of Upper Deck's Five-Step Authentication Process.